In 2016, we realized we wanted to assist more than just women in dire situations. After discovering the startling statistics about the under education of women in Haiti, we made the decision to open the women’s academy for learning on our campus to provide a safe haven of learning for women in the surrounding communities of Jacmel, Haiti. 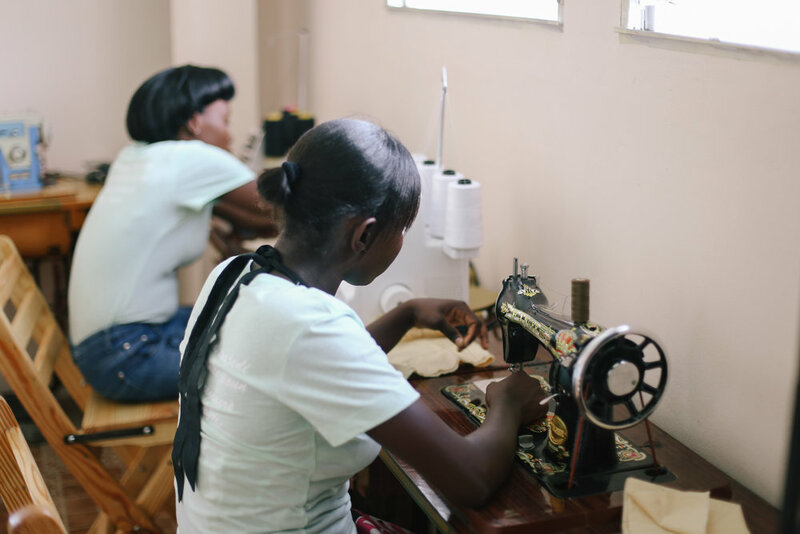 After year one, we had a total of seventeen students, and at the beginning of the fall 2017 semester, a total of fifty-four women were enrolled in both our academic and vocational training classes. Majority of our women are over the age of eighteen and have reached an average academic level of second grade. There are currently no adult alternative learning centers in Haiti, so we created one. Without a program like the Jasper House Haiti Women’s Academy for Learning, women who desire to return to school would be forced to attend elementary school with adolescent children, a very embarrassing and stigmatizing experience. We desire to give women the opportunity and freedom to not only achieve an education, but rediscover their individual worth and value. in the fall of 2017, we implemented the addition of student teachers to assist our education professors. each of these women have done a phenomenal job and use this experience to springboard them into their dreams of professional careers.